Crypto scams are a known problem within the crypto space. People are trying to get a hold on the issue, but a guaranteed solution has yet to be discovered. Now, influential leaders around the globe are speaking out. Specifically, about the crypto scams using their face and names. The latest to do so is Richard Branson. On Thursday, Richard Branson discussed the numerous bitcoin scam stories he has seen lure victims into its trap. He’s had enough of it. According to the British business mogul, he has written “several times” about the bitcoin scams that are using his face/name. 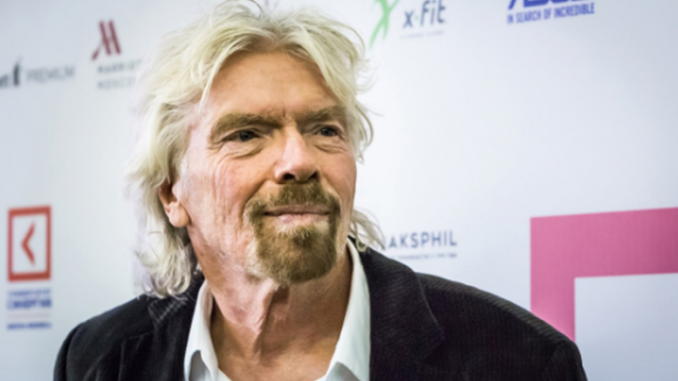 Branson has shown support for the bitcoin and blockchain sectors in the past, stating that there are advantages of “genuine bitcoin developments,” but he does not, and will not, endorse bitcoin scams. Or any other crypto scam, for that matter. On top of that, the Virgin Group founder called out one scam – Bitcoin Trader – ultimately putting it on blast for the world to see. Mentioned previously, numerous leaders around the world have come forward to discuss the ways in which the problem of crypto scams could be solved. On April 23, Martin Lewis filed a suit against Facebook for allowing scams that use his face/name on its platform. In addition, the FTC announced yesterday that it is planning to hold a workshop in June, a workshop that will work on educating various sectors about crypto scams, and how to avoid them. Branson and Lewis are not the only people who have been affected by crypto scams. Vitalik Buterin has also had his face and name used. Different Twitter accounts would pose as the co-founder of ethereum. This brings me to my next point – social media sites are the primary medium that these scams are occurring. Branson touched on this. He said that he has contacted the networks where these bitcoin scam stories are being published and spread, urged them to talk them down. Additionally, to work harder at preventing them from occurring in the first place. What do you think about the problem of crypto scams? What can we do to prevent this problem from growing? The FTC workshop is a good idea, as is a powerful man like Richard Branson speaking out about it. Cardano (ADA) and EOS: Coins to Buy in the Dip?